I'll be 15 days in a liquid diet following by 15 days of purees (yikes)... and after that I'll start eating solids in small quantities. So If I'm cranky you know why :P I'll be posting more info soon! Now for the fun part... New art and goodies! 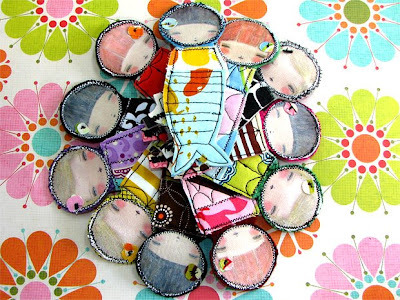 For the ones who asked for more Pretty Girl brooches, now they're available! 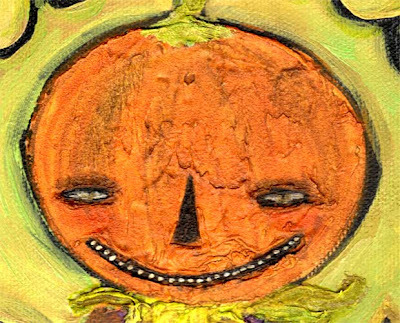 New Halloween paintings coming too! 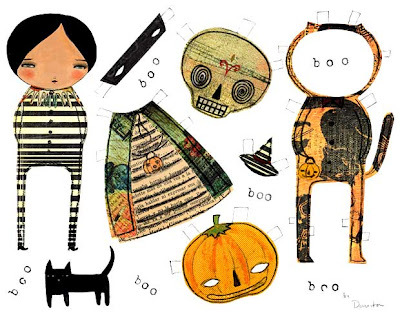 A New Paper Doll... Great For Halloween! 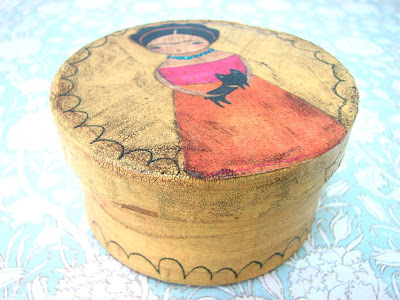 Handmade Collage Art Jewelry Boxes! And more jewelry on the works too! Stay tuned, I'll be adding new items during the day today and tomorrow =) And thanks a million for the wonderful response to the giveaway! Keep signing up for a chance to win!!!! I'm sorry to hear the balloon process is so awful... but I'm sure it's worth it and after you'll be just fine and will benefit from this :) I wish you all the best for the coming days! 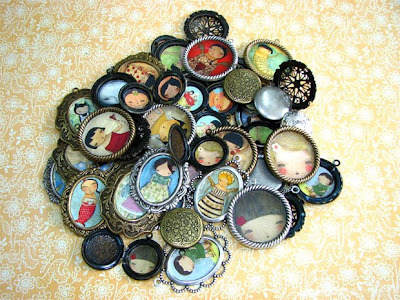 Your brooches and jewels (eventhough not finished) are just adorable, congrats! Stay well Danita and take good care of yourself. 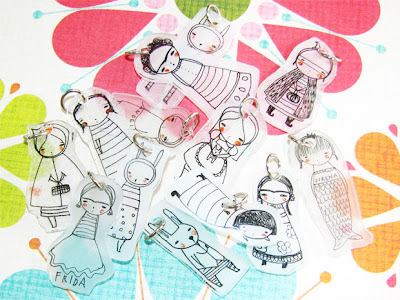 I love your new little creations ~ especially the Halloween paper dolls! oooooo~ good luck with the balloon next week! maybe you should just stay in bed & wear fuzzy pajamas & watch lots & lots of tv! i LOVE all your new stuff! AMAZING!!! p.s. i have done a few "i paint u, u paint me" with different artists...i always make a video of the process...it's a riot! i'd LOVE to do it with YOU! would u be interested? p.p.s. did u enter my contest yet?don't forget! my, my !!! you never stop ! andeverthing you do is soooo wonderful ! 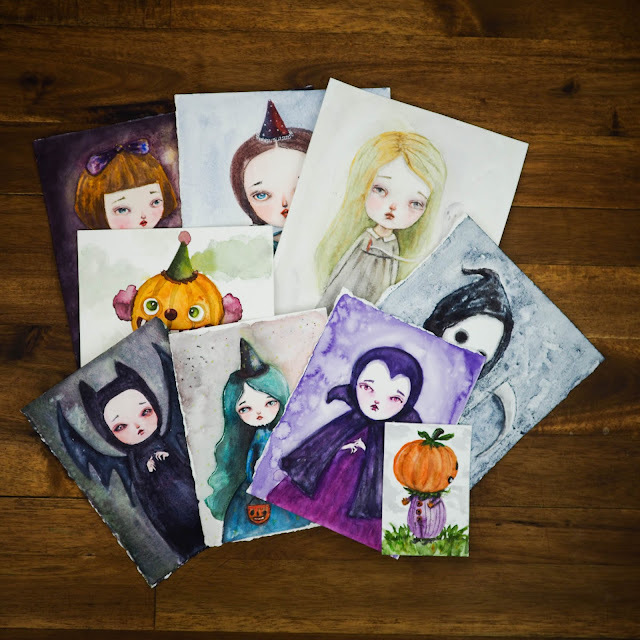 your halloween stuf is just fabulous ! good luck at the hospital ! I send you all my positive thoughts ! I've just discovered your world and I'm very impressed,I m going to continue my balad,it's so beatiful here...Have a good time! 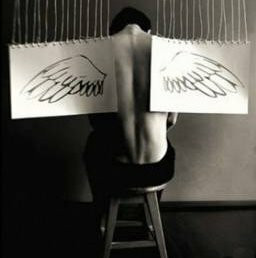 You have the most amazing art. LOVE your Halloween paper doll set. So so Adorable! Hugs!